Executive Director, North American Center for Threat Assessment and Trauma Response Inc. 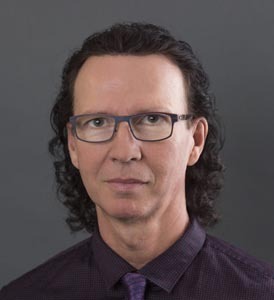 He is a “Subject-Matter Expert” for Threat Assessment and Trauma Response for the Province of British Columbia’s ERASE initiative as well as the Lead Clinician for the Surrey Wrap Youth Gang Prevention Program. Through a five-year Federal Government of Canada Public Safety Grant, Mr. Cameron is overseeing the largest urban VTRA training initiative in North America. Leadership from Toronto Police Service, the City of Toronto “FOCUS Tables” and close to one hundred different agencies, are applying the multiagency VTRA Model to address all forms of violence with a special emphasis on Violent Extremism. In 2018 Mr. Cameron organized the North American Center for Threat Assessment and Trauma Response (NACTATR) including collaboration with Chicago-based CEO Lionel Rabb for the organization of their first ever US specific operation. From this partnership comes “NACTATR US” and the development of VTRA software referred to as TACTIC which will be the first ever “human assisted” technology to facilitate the highest levels of VTRA application from single incident cases to complex community violence prevention initiatives.